But have you gotten your family involved in philanthropy?? If not, you could be missing a truly massive opportunity to teach your children and other loved ones about smart financial decision making and impart key financial values that can guide them throughout their lives. If you’re like many people we work with,, your deepest financial concerns are focused on taking care of your family and ensuring they enjoy lives that are financially stable and financially responsible. Working together to define your shared values around wealth, community and building a better world. Helping individual family members identify their own specific charitable values and intentions. Making financial decisions as a team. 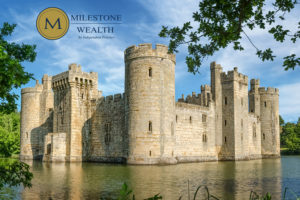 Learning about the power and responsibilities of wealth — building it, growing it and using it to positively impact others — as well as critical financial management skills. Legacy. Many people create private foundations to honor loved ones. They’re effective in binding a family together around something they consider meaningful. You should probably want to build a legacy — of one kind or another — if you choose to create a private foundation. Control. A private foundation gives you significant control over the choice of charitable organizations you want to support. With a donor-advised fund, you’re only making recommendations to a firm responsible for both managing and distributing the money. While it’s unlikely that your suggestions will not be followed, there could be times when this will be the case.A private foundation enables you to make a wider array of grants than does a donor-advised fund. With a private foundation, for example, you can make pledge agreements to support one or more charitable causes over a period of time. The lack of personal control in a donor-advised fund makes that impossible. Private foundations also can make grants to specific individuals, something donor-advised funds cannot do.How the assets are managed also differs between the two. With a donor-advised fund, the assets are managed by the firm you entrusted with your money — often a mutual fund sponsor or similar investment firm, or a community foundation. In a private foundation, you — or the investment advisors you select — manage the assets as you see fit. Creating a legacy. Succession possibilities are unlimited in a private foundation. This enables the family to exercise control across the generations, helping them to pass philanthropic values and specific goals (as well as money aimed at those goals)) to children, grandchildren, great-grandchildren and beyond. In contrast, many donor-advised funds have limitations on successions. When that limit is reached, the money no longer belongs to the donor or his or her family. Instead, it’s transferred into a general pool of the organization sponsoring the donor-advised fund. Next PostThe Road to Longevity: Living to 120—and Beyond?